He was born on 1932. and migrated to India at the time of partition, went through and endured tumultuous life phases, risen to unsurpassable heights in life and profession. Thus, having led a fruitful and eventful life, he left for his heavenly abode on 19-12-2011. He is survived by his wife, three sons and two daughters. Reminiscing on his life, Sri LD Gogia had to spend his childhood in an atmosphere of abject poverty. His student life was fraught with financial constraints and restraints. But penury did not dampen his spirits and hamper his cherished goals of life. He swam against tidal waves of traumatic circumstances and by indomitable courage of conviction, unstinted industry and dauntless spirit, he had risen from the pangs of poverty and reached the pinnacle of glory. This spectacular and meteoric rise from penury to pivotal position was made possible due to his sustained and tireless efforts. As a result, he made himself a legend in his own life time. Shri L.D. Gogia was the founder of Asia Law House. He first obtained copyright of Andhra Law Times from M.L. Tilak in 1977. Then he played a historic role in purchasing the copyright of Supreme Court Journal, which was established in 1938 and which had earned unique reputation and an abiding place in public estimation, from M.L.J. Publications and revitalized the journal in such a way as to bring it to its present glorious heights. He had not only brought his brothers but also his near relatives into the business of publishing and selling law books throughout India, leading a remarkable career of success and fulfilment. At the time when he started business of publishing law books and journals, there was not even a single publisher in Andhra Pradesh. He was the first publisher of law books and journals in A.P. This business has been widely expanded in all proportions with publishing of sizable number of law journals viz. Andhra Law Times, Andhra Law Times (Criminal), Andhra Law Times (Revenue) , Andhra Law Times (Legislative Supplement), and Andhra Weekly Reporter (reporting cases on Motor Accidents) besides publishing law books. The reach of these journals is extensive, stretching across States such as Orissa, Kerala and Karnataka. Shri L.D. Gogia last ambition was to bring out ALT in digital form, which had since been fulfilled weeks before his heavenly sojourn. His promising son Sri Manohar Gogia, true to the spirit and cherished goals of their father, have rededicated themselves to uphold and carry to still greater heights the banner of ALT, with their devotion and dedication, as they are aware that this is the only way they can pay true tribute to their great and illustrious father. More than six decades ago, our Journal, the Andhra Law Times took its birth along with the birth of the High court of Andhra at Guntur. At that time this Journal received blessings in a large measure from the high dignitaries of the Governments and the legal luminaries, who adorned the Bench. In this context, we recall the Messages that we received from the President, Vice-President, Governor of Andhra Pradesh apart from Judges and other dignitaries among others. As technology developed, after we took over the Journal, we have modernized the typing of Head-Notes and judgments on computers and adopted modern methods of printing. In our endeavor to cater to the needs of the legal profession, we have undertaken publication of the Andhra Law Times(Criminal), Andhra Weekly Reporter, ALT(Revenue) and ALT(Legislative Supplement) and we are now doing our best to place extensive legal material before the bench and the bar and others concerned with law. We have been able to achieve this much of progress because of the tireless efforts of the founder and publisher of these Journals, Sri. 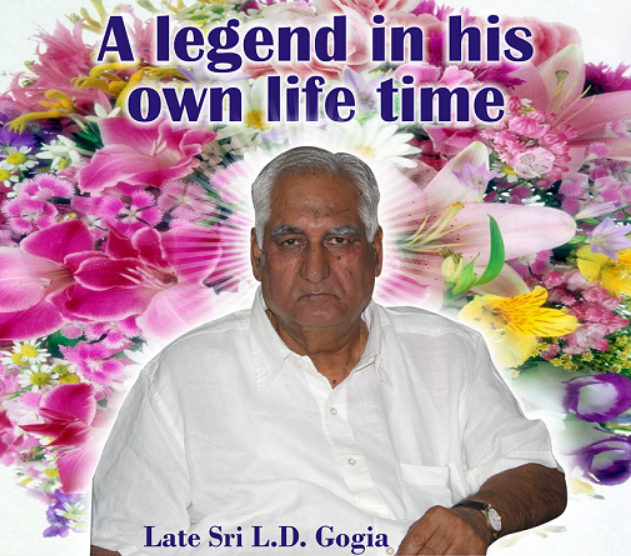 L.D.GOGIA to whom we are indebted in a large measure. In this effort to popularize our Journals he had toured several places, towns and district Head Quarters of A.P. and other parts of India. In this context it may not be out of place to record that some of well wishers from the bar had earlier become Judges of the High Court of Orissa and Andhra Pradesh. Very recently, one of our Honorary Editors Sri P.S.Narayana has been elevated as a Judge of the High Court of A.P. We take this opportunity to congratulate his Lordship. We hope and trust that his blessings shall continue with us. In our publications we have received maximum assistance from our Editors, many of whom happen to be retired officers of the Judiciary. The High Court is pleased to recommended our Journals for use in the High Court and the Subordinate Courts. For this we are thankful to the High Court. It shall always be our cherished desire and endeavor to do our best in the field of Law Journalism.